During the past few months of my first semester in college, I have made excuse after excuse as to why my relationship with God was failing. My grades were up as far as school was concerned, but my one on one time with Christ had nearly bottomed out. I found I was only praying when I needed something. Confidence in relationships with friends. Knowledge for tests. Patience for my grades. I was praying for all things except the most important of all: my intimate relationship with God. I was praying because I wanted something, needed something. I was being completely selfish. God has given me the world and I just kept expecting more. When I would pray for something silly, and things didn’t go my way… I would get mad! Mad at our creator, savior, redeemer. Now looking back at how I reacted, there is a wide amount of self disappointment for being so selfish. It took me months to realize how utterly egocentric I was acting. During that time, I didn’t have an intimate relationship with God like I had previously. I spent my free time on my cell phone, scrolling thru social media. Over time I could recite posts on Facebook over Scripture and truth. I spent so much of my time being envious of others by their posts on social media. Without God’s grace and love, I was completely unhappy with myself. I wasn’t content with how I was living life. I had let toxic relationships with boys and coworkers tamper with my faith. As an amateur believer and a freshman in college, I didn’t take into consideration how badly I needed and enjoyed the special relationship with the Lord. Over this past summer, I had the most amazing opportunity to go to Passion Camp in Daytona. There I fell deeper into my faith. During the camp with high hopes of being a first year college student, I professed that nothing could get in the way of my deep passion for God and my will to grow that relationship. But oh my, I was so wrong. School, work, excuses, and Satan’s power got in the way. Life was moving so fast. “I’ll catch up on my devotionals tomorrow”, turned into, “I prayed today, my devotional can hold off.” Excuse after excuse, and pretty soon that extraordinary intimate relationship I had at the beginning of August vanished. Of course I believed and knew that Jesus was my savior, but I wasn’t steadfast in my faith. I didn’t go to church. I wasn’t being fruitful. I was a complete dead weight to God’s Kingdom. These realizations hit me like a lightening bolt. 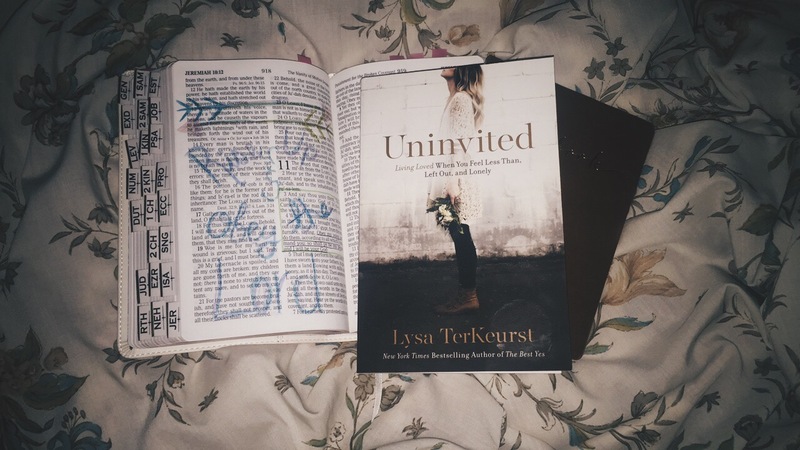 Today, I got the chance to read Uninvited by Lysa TerKeurst. In an early part of her book, she wrote of the “Three Questions We Must Consider”. Is God good? Is God good to me? Do I trust God to be God? For some reason these questions completely stumped me. Is God good? Of course He is! But why is he good? He can’t just be good without reason. The truth behind this accusation… God sent his only begotten son to die for our sins so we could have eternal life. “This is how God showed his love among us: He sent his one and only Son into the world that we might live through him” 1 John 4:9. Every time I so happen to think about the love one must have for another to sacrifice their only child for other lives, my body is overcome by goosebumps. God’s love is real. He forgives our sins, and continues to love of unconditionally. God is extremely good. Is God good to me? I have to admit, I’ve had my doubts. Through personal struggles, I have questioned God’s goodness. I have looked at other people, seen God’s work, and was envious of how great God was working in their life. Through pure insecurities and negative thoughts, it was so easy to point blame on God for being good to other people but me. Truth is, God doesn’t have favorites. He doesn’t have a teachers pet or what not. God just works in different ways through all of lives. He teaches each and everyone one of us different lessons, and works in mysterious ways, so that we may spread His word and share our unique testimony to people who may not believe He is good. Everything God does is his will. Whatever my struggles may be, I know that whatever I am going through is super minute to His greater plans. God is good to me. Do I trust God to be God? In school did you ever do trust falls? When I was in youth worship many years ago, we did a group trust fall. In groups of two, we would stand with our backs turned away from the person who we were supposed to be trusting. Well, if I was to be graded on this activity, I’d quite possibly receive an F. I absolutely refused to participate. Trusting for me has never come easy. I’ve been burned a lot by people who I trusted. I’ve been let down by those I loved dearly. But I know through my salvation, that I can trust God to all extremes to be God. Even though I will be upset with many things in my life, I have enough trust in God to know that whatever he is doing in my life is for the greater good. In most circumstances, being steadfast in your faith can be trying. You will fall down and stumble in your relationship with God, but whatever happens, God and His wonders will always be there. Even when you can not see, God’s love and faithfulness will guide you back to Him. “When you go through deep waters, I will be with you” Isaiah 43:2. Maybe this is you today. Talking to God without an intimate relationship. 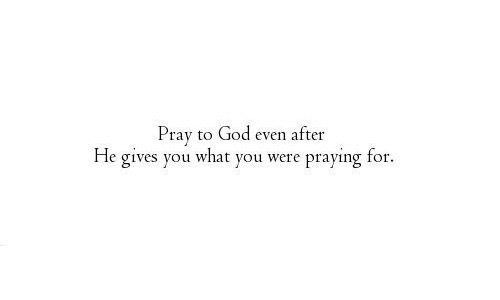 Praying to him for your selfish wants… not sitting back and thanking Him for His everlasting love. I encourage you to stop sleep walking in your faith. Wake up and start producing fruit. 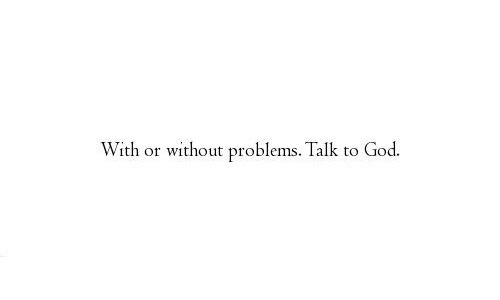 Talk to God and restore the relationship you most intimately crave. Trust God to be good enough to always be on your side. Previous 5 Things to be Thankful for this Year.